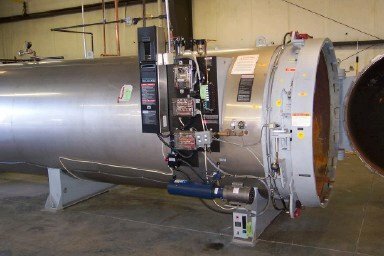 George K. Moss Co., Inc. is the supplier of the Moss retort medical waste autoclave system that has a superior design and proven reliability. The Moss retort is designed for applications in hospitals of almost any size. 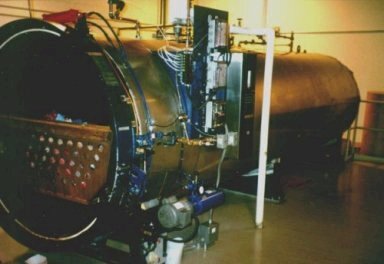 The basic system includes the Moss medical waste retort autoclave with all of the features explained in the following information. Moss also provides our Z series autoclave systems that are provided for small hospital or dialysis centers. 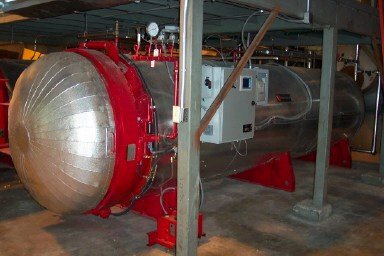 These autoclaves can be provided with boilers, if desired. Additional safeguards are incorporated into the design of this system to help ensure complete treatment of waste. 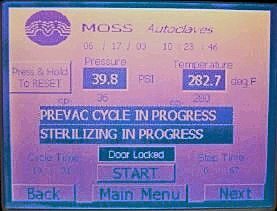 The Moss PLC control system is programmed to only discharge the waste from the sterilization chamber once complete vacuum, pressure, time duration and temperature parameters have been achieved; therefore helping to assure that your hospital waste has been properly treated before being hauled to the landfill. These sterilization parameters are programmed into the unit's computer and cannot be changed by the operator without approval from the system operator. 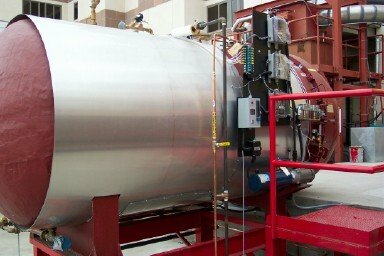 Since the demise of incineration, autoclaving is now the widely accepted method for processing infectious waste materials. Add a medical waste shredder to the process, if desired or required and you have a system that is universally acceptable by most any environmental agencies. It is the one system that is approved by all states and only a routine certificate of operation is usually required for its use. Coupled with its low labor requirements and low energy costs, it is the system of choice for hospitals acquiring new waste disposal systems. Moss looks at infectious waste disposal from a systems point of view, which requires a close look at the system's economics. We believe the best disposal system is not necessarily the most expensive one. This is why we focus on the total system, which involves looking at the personnel operating the system, as well as, the waste materials being disposed of. Our end objective is to provide you with the best value in quality waste disposal. Moss provides the most customer value and is the most cost effective system on the market relative to acquisition and cost of operation.